Beatnic – just wondering – Page 4 – Questions and observations from Nic Price. Curious about how things work and what it's like to use them. iPad apps are much improved, but new usability problems have emerged, such as swipe ambiguity and navigation overload. BBC News – Are your travel habits making journeys more expensive? 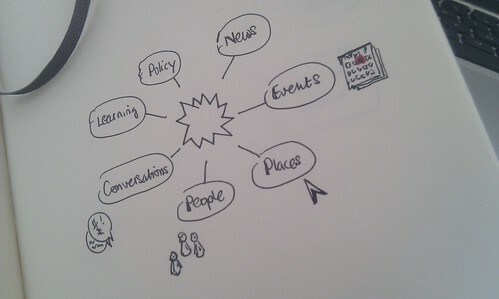 How does a piece of content relate to other content? Not an exhaustive list, and deliberately format-agnostic, but a helpful start when planning and thinking about web and intranet content. Let there be no cul-de-sacs. Useful set of reflections and questions. Alan Penn on Shop Floor Plan Design, Ikea, and Dark Patterns. 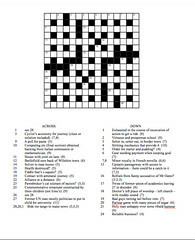 I was lucky enough to get my very own Araucaria crossword for a significant birthday last year. A brilliant present from my parents. And here it is… many – though not all – the clues are connected with me and my life.